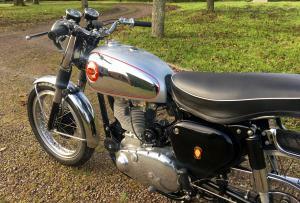 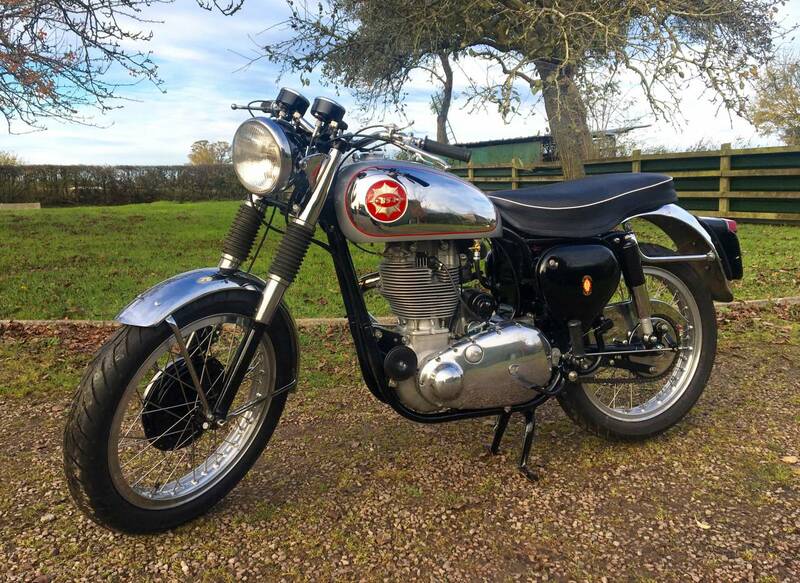 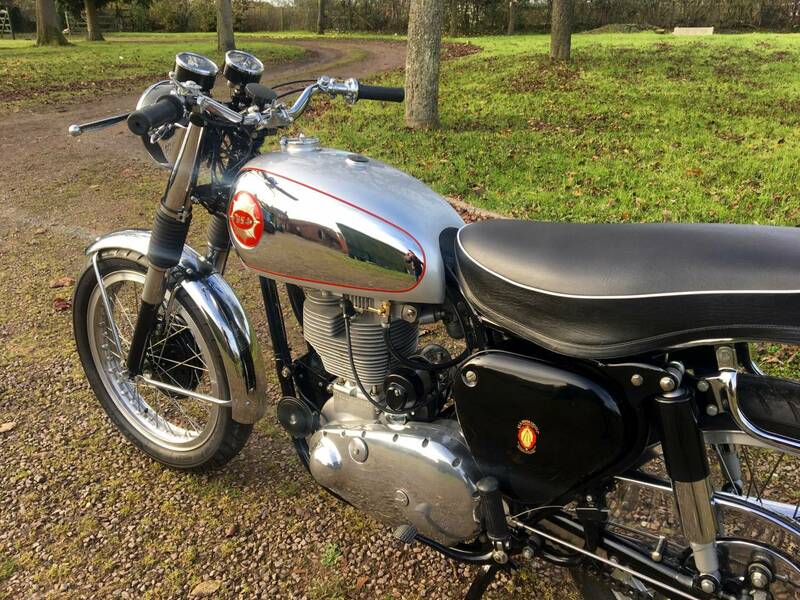 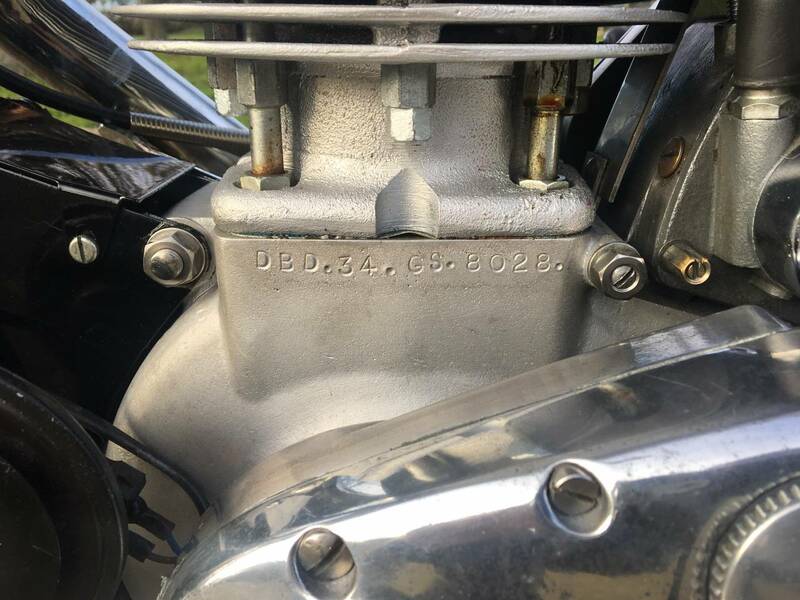 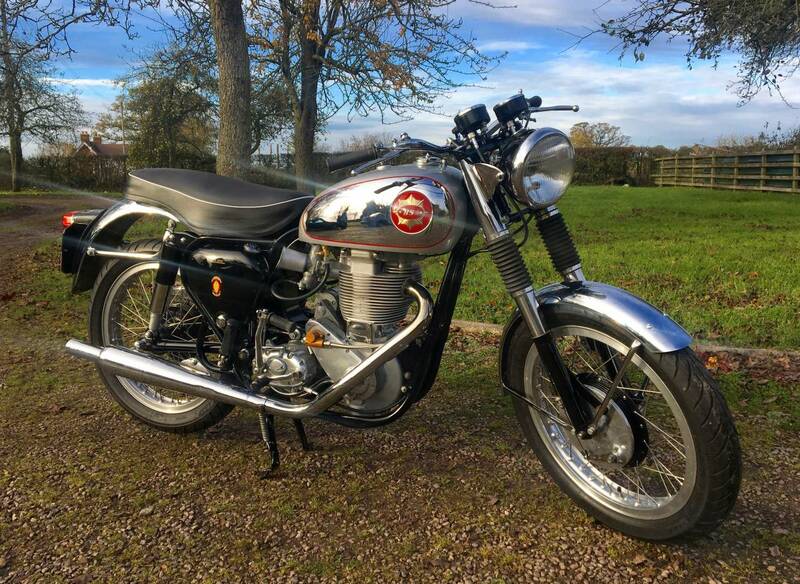 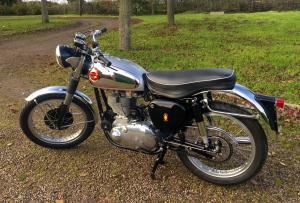 BSA DBD34 Touring Gold Star Rep 500cc 1956 . 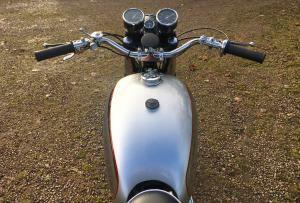 Lovely To Ride As Has The Touring , Upright Bars And Identical To The Real Thing ! 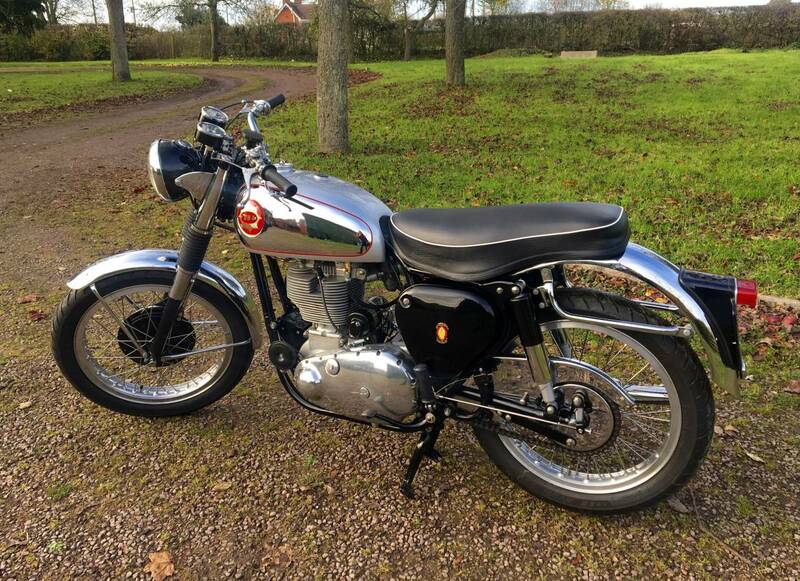 With B31 Frame ; Identical To The Original Gold Star Frame , Just With A Different Number ! 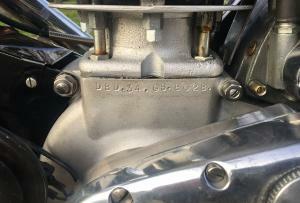 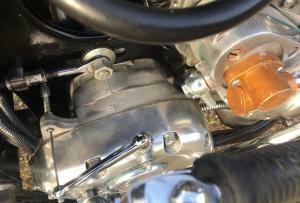 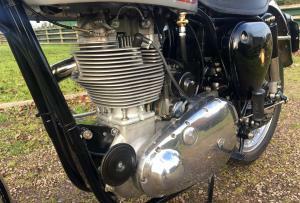 Fully Restored DBD34 Gold Star Engine . 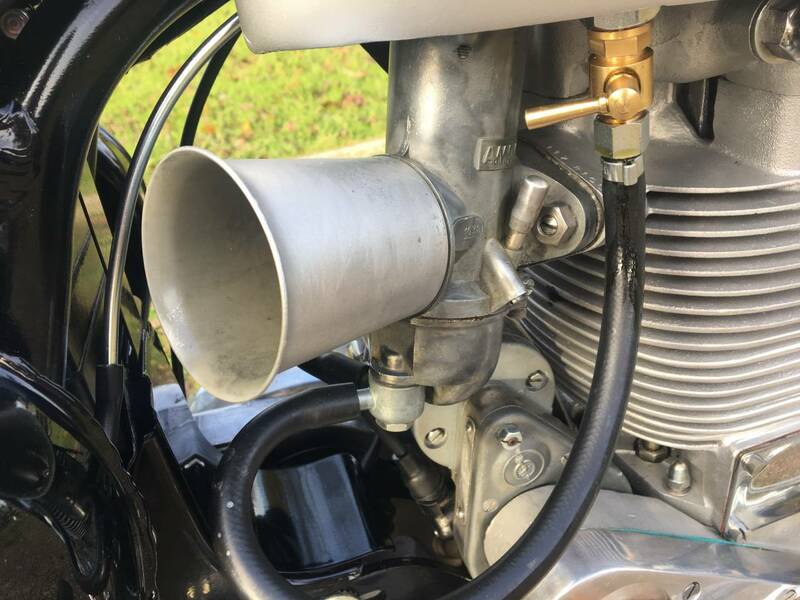 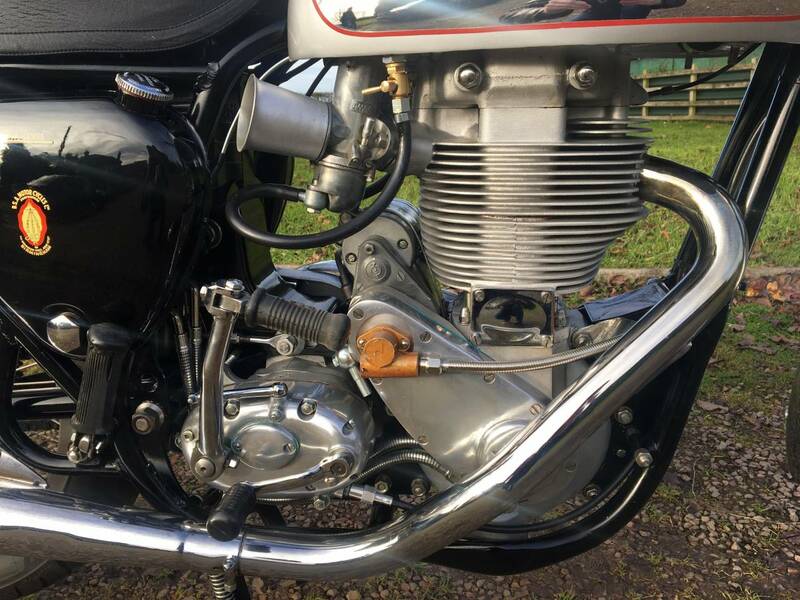 The Whole Machine Has Been Totally Rebuilt By The Gold Star Guru ; Len Haggis And Is Immaculate , Both Cosmetically And Mechanically . 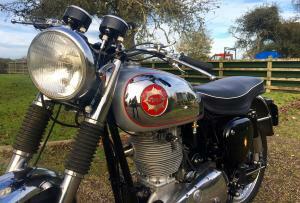 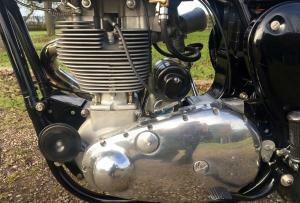 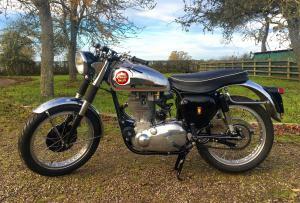 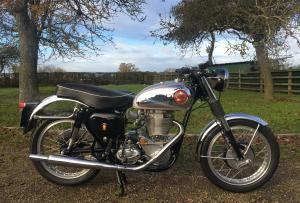 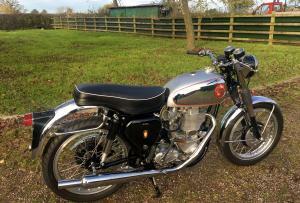 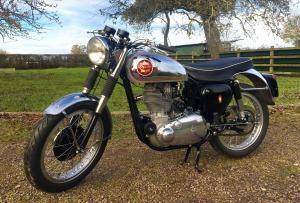 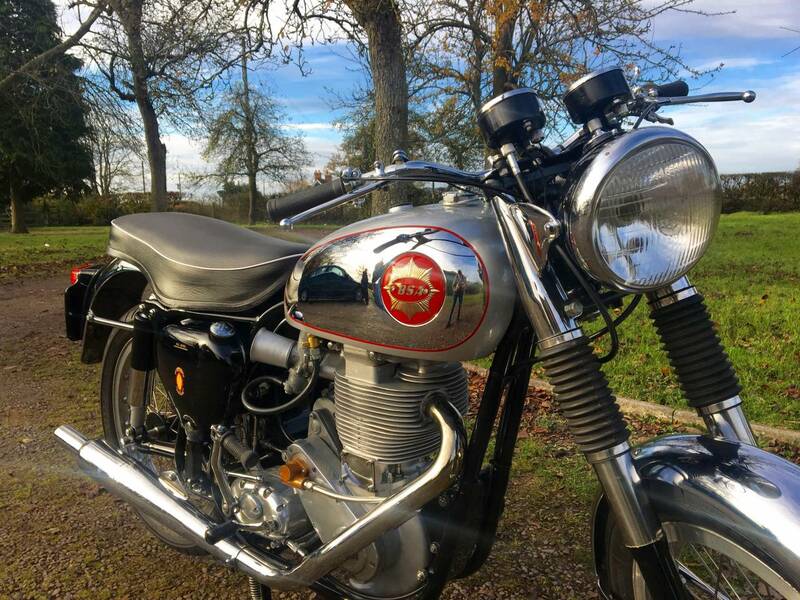 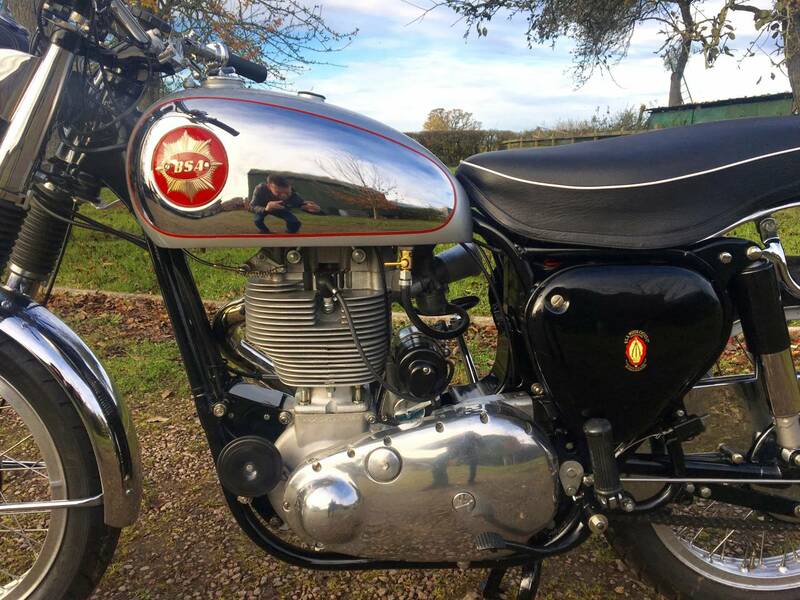 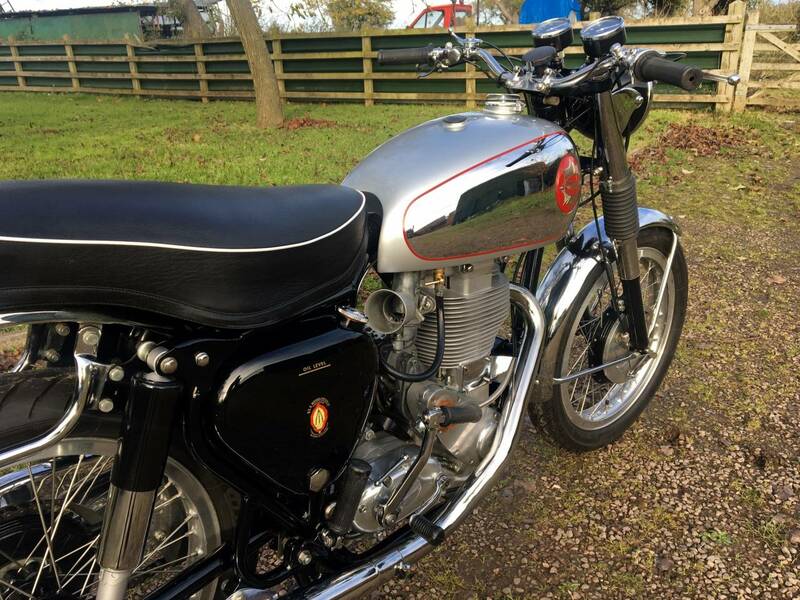 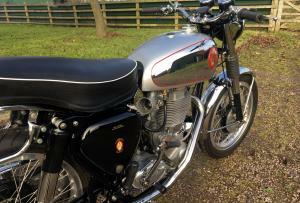 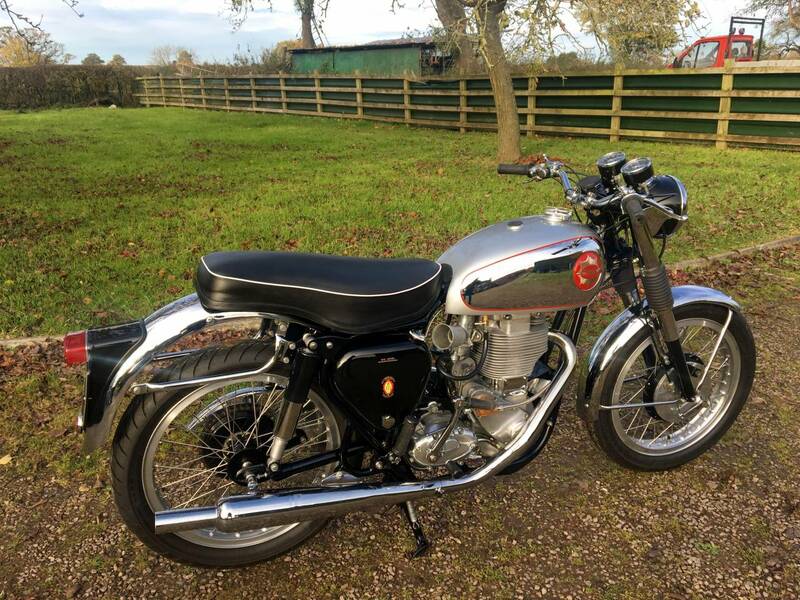 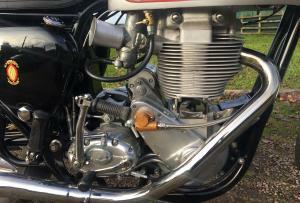 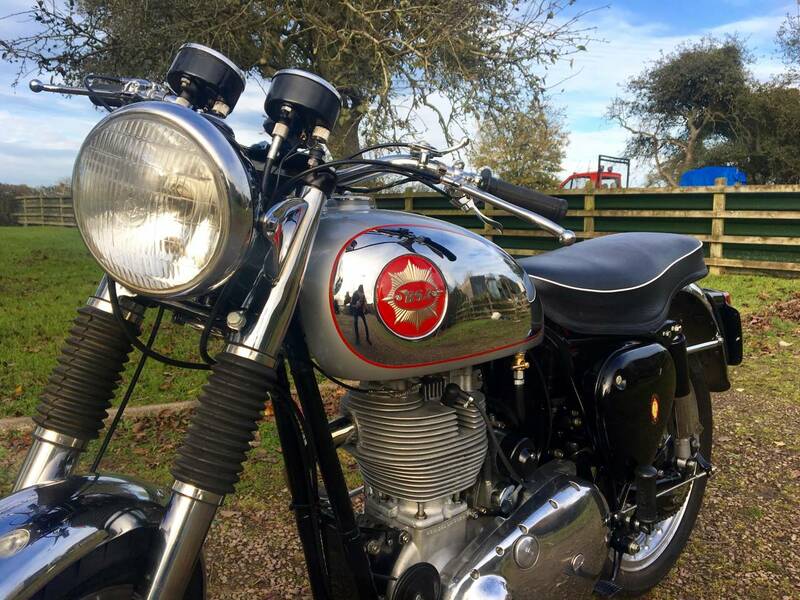 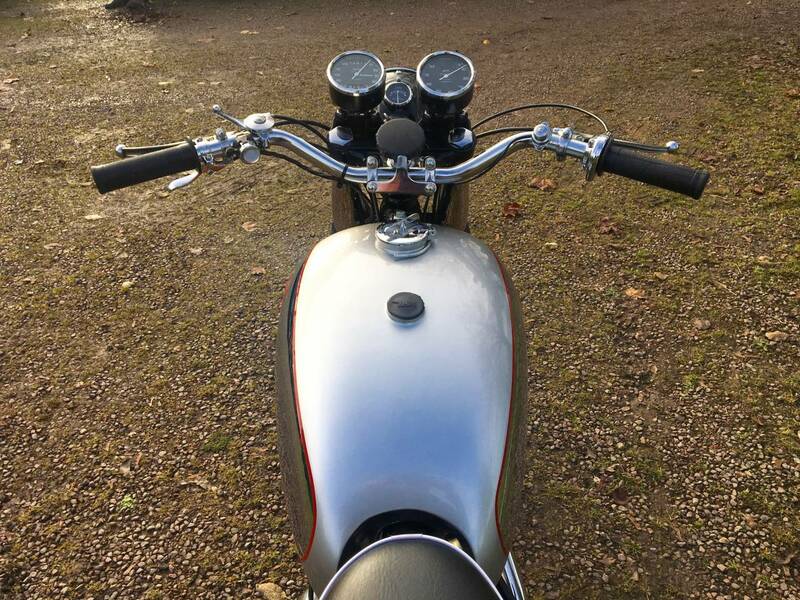 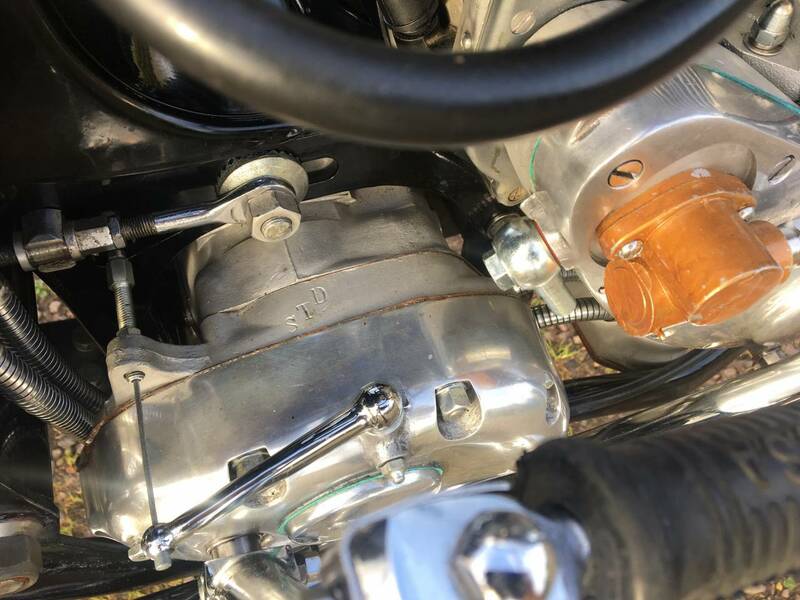 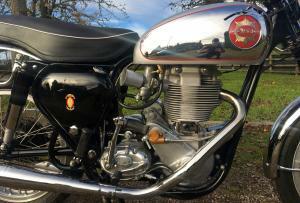 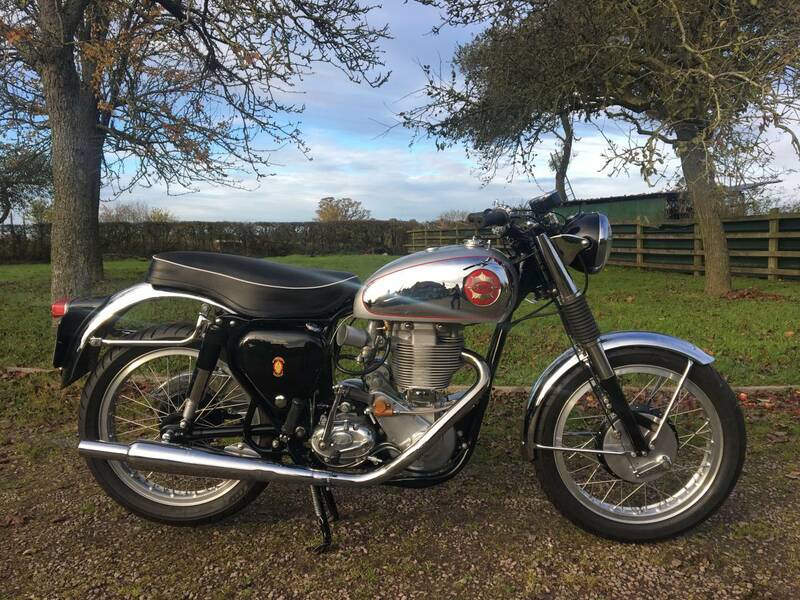 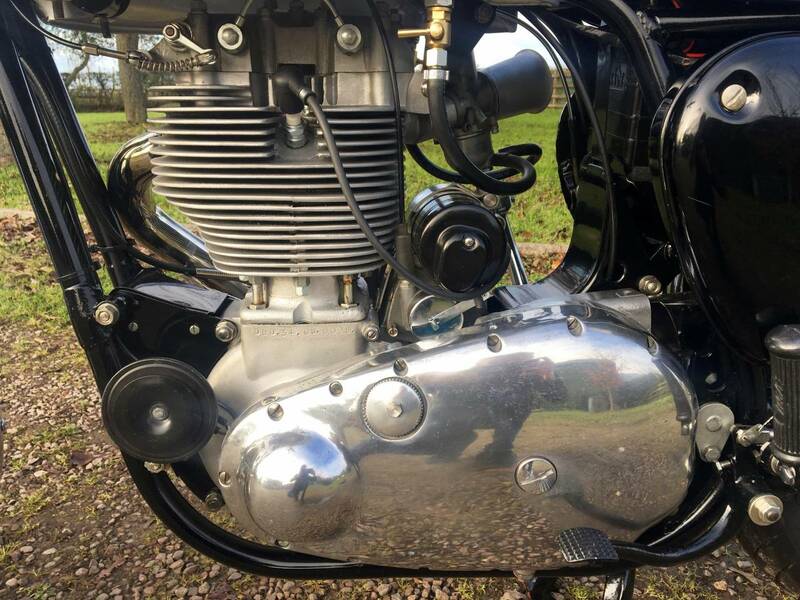 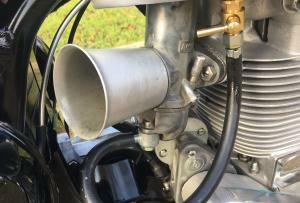 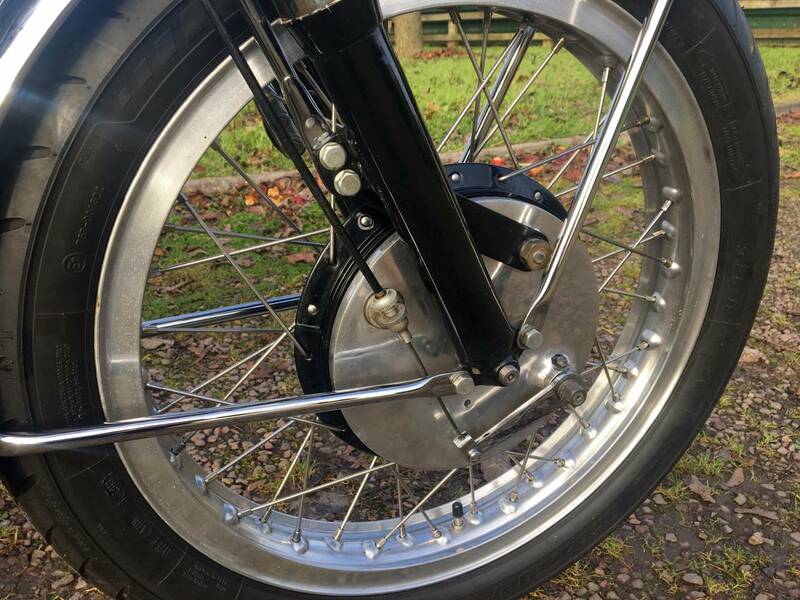 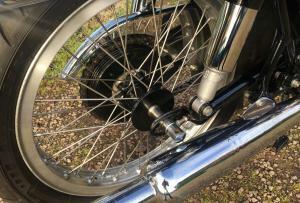 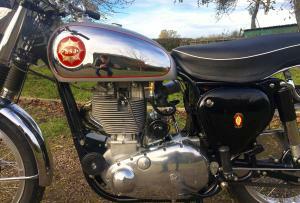 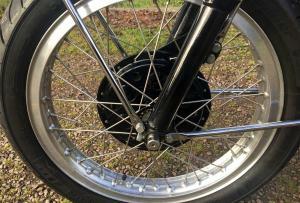 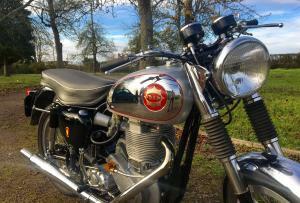 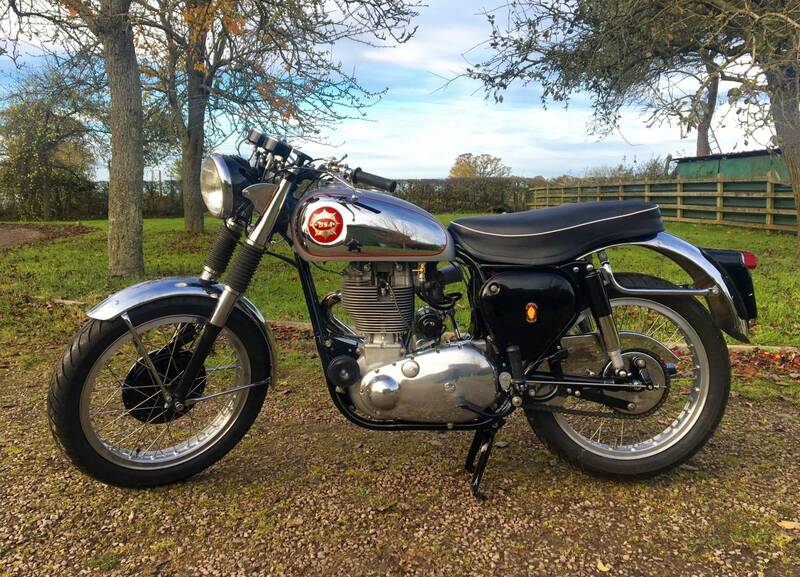 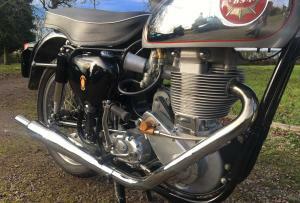 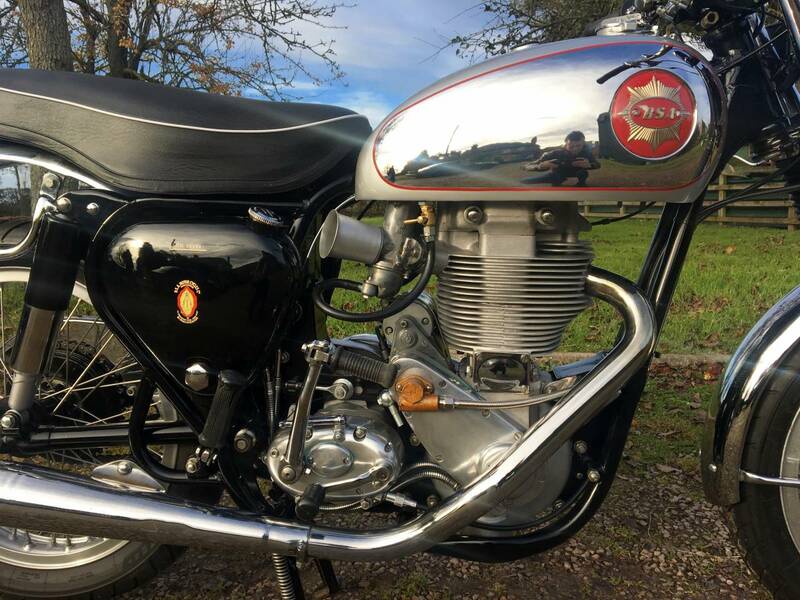 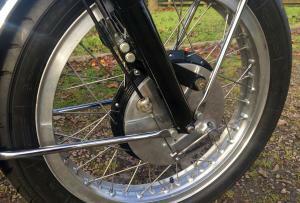 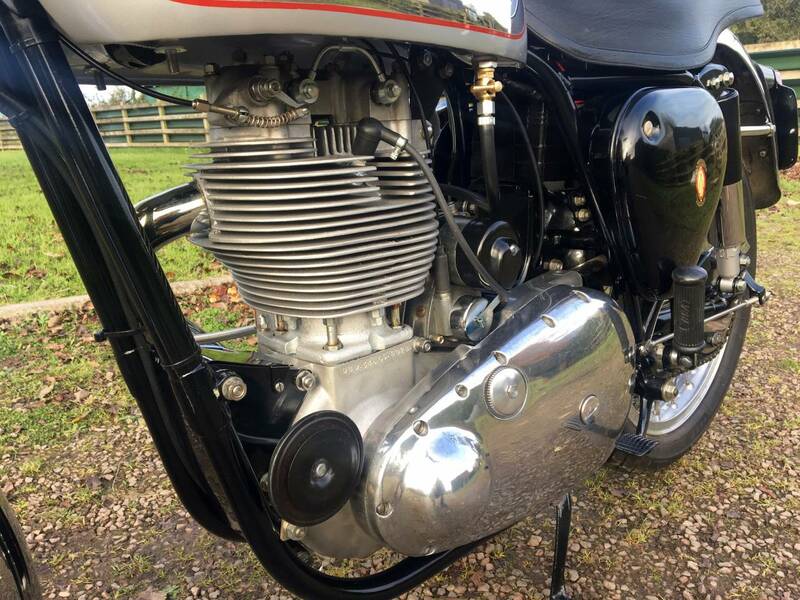 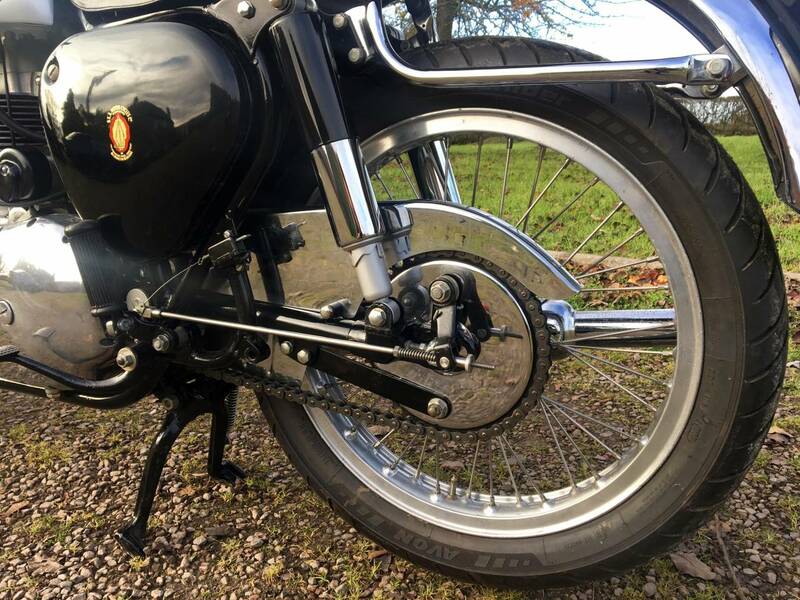 Starts Easily And Runs And Rides Very Well And As Fitted With A Concentric Carb So Ticks Over Beautifully ! 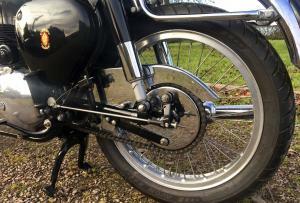 ( see video ) And Has The STD Gearbox , For Ease Of Use ! 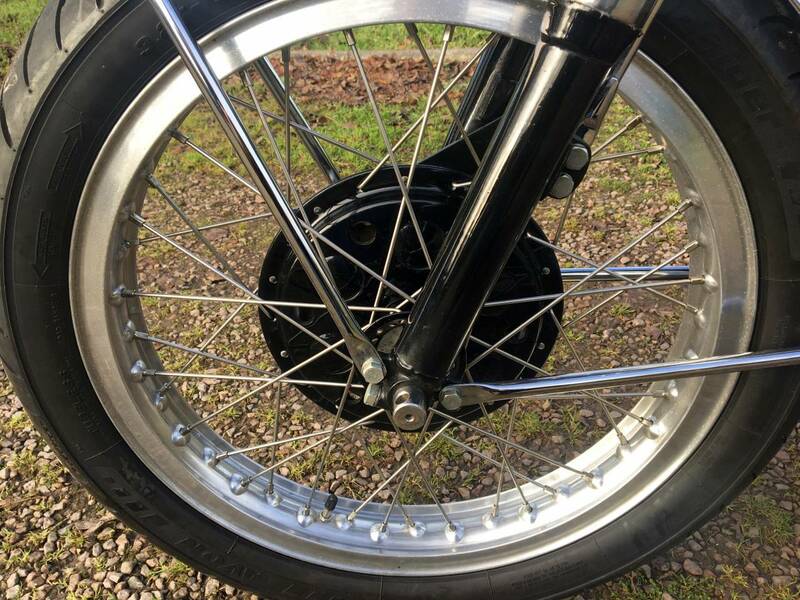 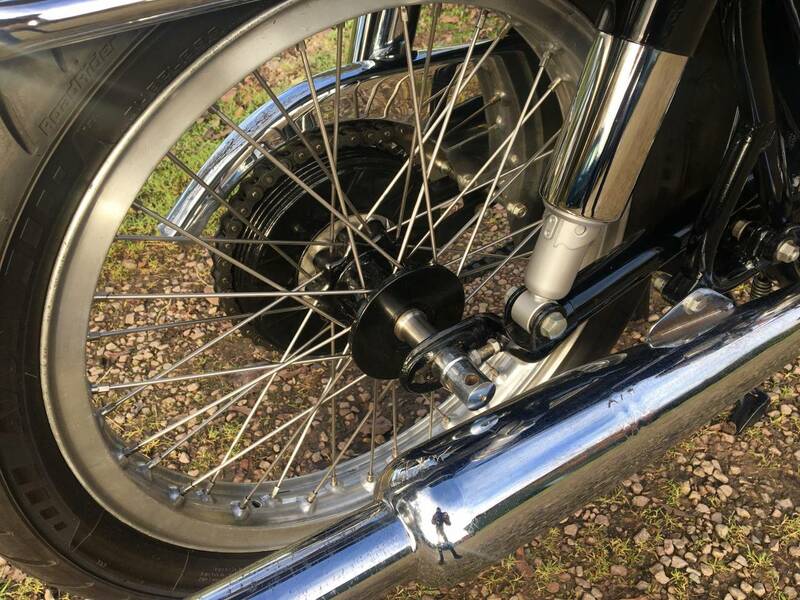 Great Reduction On A Genuine Frame Number Machine And Looks Identical , With Goldie Tank , Chrome Guards , Half Width Goldie Hubs , Rebuilt Wheels , With SS Spokes , New Tyres , Twin Chronometric Clocks And Goldie Exhaust . 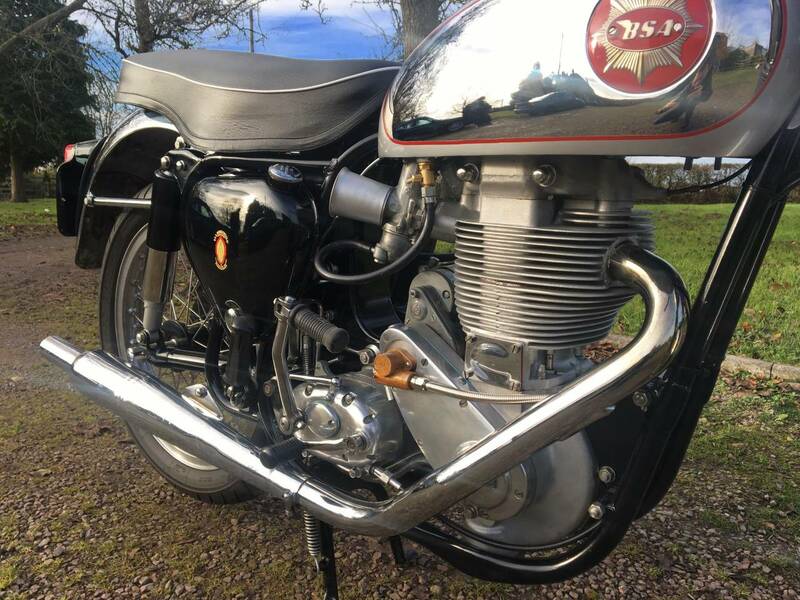 A Beautiful Looking Example , That Goes As Well As It Looks . 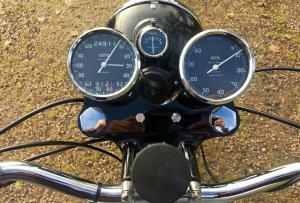 Very Easy To Live With And Good Fun . 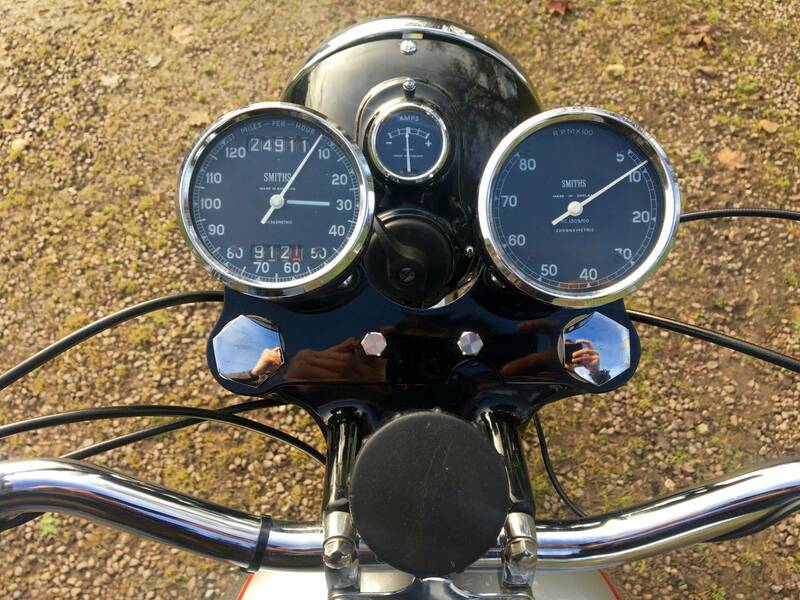 Great Investment .